"You have the worst __(spine, neck, knee, curve, etc)_______ I've ever seen!" "Your pain is from getting old (or from arthritis) and you have to live with it? "Your pain is all in your head?" "Your only option left is surgery? 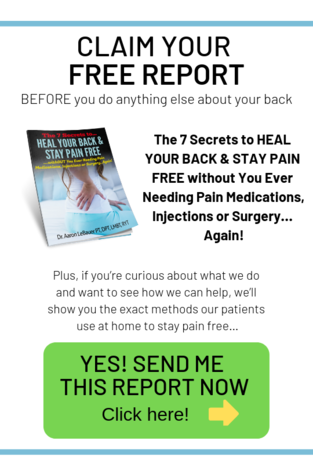 Are you tired of taking pain medications, getting injections and doing exercises that don't work? At LeBauer Physical Therapy we help active people stay fit, healthy and mobile while avoiding medications, injections and surgery. We can help you, your family members, friends and colleagues with any condition where you have pain, tightness, numbness/tingling, difficulty moving or limited ability to do your normal daily work, exercise and activities. The list of conditions below is not exhaustive and if your problem is not listed below, call us to find out if we can help. If you just injured yourself or even if you've been suffering from an injury or painful condition for a long time, ​there is a very high likelihood that treatment in our clinic can help you feel better, do more and return to the activities you enjoy. Contact us today to speak with a physical therapist to find out how we can help you stay fit, health and mobile without pain medications, injections or surgery! Just click one of the buttons below and then fill out the simple form.